Motorist Anna Hedges, 27, of Manukau is almost certain to become this year’s Halberg recipient after setting a new record for the one-way trip from Drury to Auckland yesterday. Making her achievement all the more remarkable, the campaign was run on a shoestring budget. In true Kiwi style, Hedges conquered the motorway in a secondhand 2010 Toyota Corolla. Travelling almost thirty six thousand metres, the route takes the driver through some of the most inhospitable places on earth – heading north through Papatoetoe, Otara and Otahuhu before veering northwest through Ellerslie and Newmarket. If the driver makes it that far there is one final hurdle to overcome, the Central Motorway Junction; the motorist’s Cape Horn. Moral support is crucial, and real-time video and audio linkups enable the motorist to remain in touch with loved ones. “I was in constant contact with my support team.” Video footage shows a tired and emotional Hedges fighting to repair a stuck drinks holder whilst negotiating heavy traffic. “The Southern Motorway is one of sport’s true endurance tests” she said. Hedges arrived in Auckland with a time of 4 hours, 30 minutes and 23 seconds, chopping almost an hour off the previous record. But her time for celebration was brief. To be back before nightfall she was only able to spend thirty minutes in the office. After taking a few souvenir photos and receiving congratulatory phone calls from friends, family and the Prime Minister, she commenced the return leg. “In some ways, that was the worst” she told us. 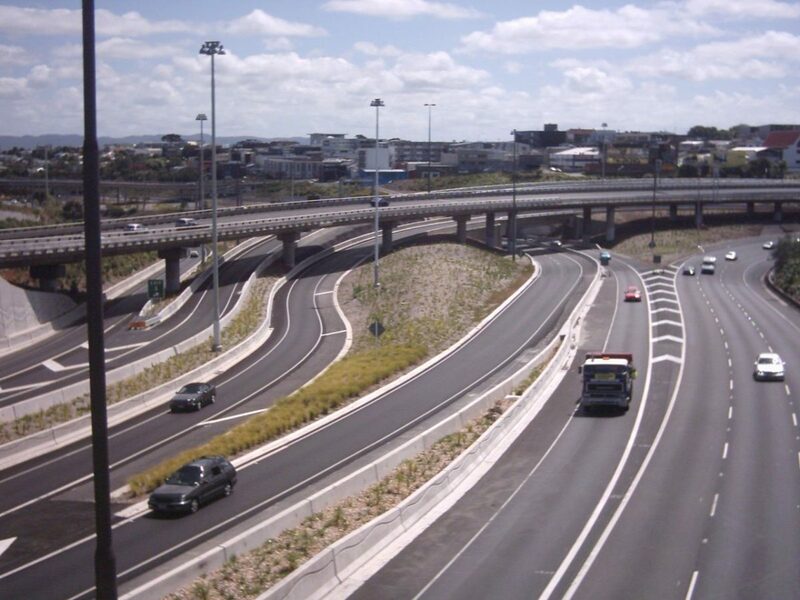 In addition to driver fatigue after so many hours at the wheel, particularly dangerous is the section immediately following the State Highway 20 interchange. There, southbound traffic mixes with vehicles originating in the rental car and motorhome regions of the airport, breeding grounds for that killer phenomenon, the foreign driver. After spending some time at home with her family, Hedges will be relocating to Te Atatu which she will use as a base for her next solo challenge, an attempt on the Northwestern.